The University of Michigan-Flint’s School of Management has been awarded yet another prominent distinction: Top 50 recognition in the Bloomberg BusinessWeek biennial “Best Part-time MBA program” rankings for 2013. UM-Flint’s Part-time MBA program is ranked 46th nationally and 8th in the Midwest by Bloomberg BusinessWeek. Because students in part-time MBA programs are typically working professionals, they avoid travelling long distances to attend classes. As such, Bloomberg BusinessWeek rankings are separated into geographic regions. With 19 ranked institutions, the Midwest is the most competitive of Bloomberg BusinessWeek’s six regions. In the Midwest, only the programs at the University of Michigan Ross School of Business, the University of Nebraska, and Indiana University, were ranked higher within the Big Ten than the UM-Flint program. “We are very pleased and gratified by this recognition and ranking by BusinessWeek. It confirms what we continually hear from both our alumni and the employers who hire them about the high quality of our MBA program,” said Scott D. Johnson, Ph.D., dean of the School of Management at UM-Flint. “Having been ranked as a ‘best business school’ by the Princeton Review for a number of years, the Bloomberg BusinessWeek rankings further add to the growth of our global reputation as an institution offering a high-quality MBA education. Our part-time MBA program provides convenience and choice. 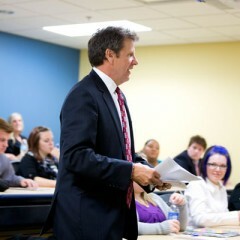 The faculty are outstanding, and our students are extremely talented and capable,” Johnson added. Bloomberg BusinessWeek determines its rankings based on three major components: a survey of recent program graduates, an academic quality assessment combining six school-reported data points which include class size and the average GMAT score of incoming students, and calculated post-MBA outcomes. 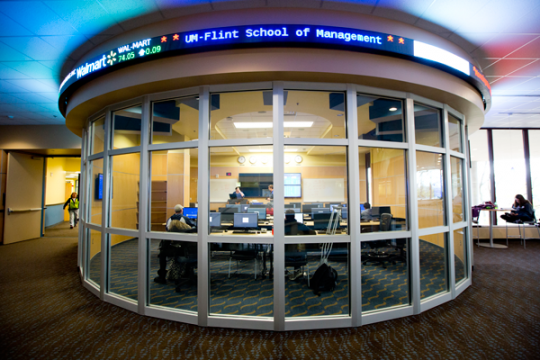 The UM-Flint School of Management program also received the highest possible score of A+ for program curriculum, an A for caliber of classmates, and ranked 28th overall nationally in student satisfaction. 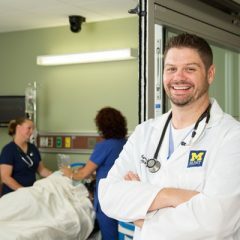 “With a program emphasis on team-based project work, that diversity of our students’ professional backgrounds enhances curriculum and the educational experience of their fellow students,” Kandogan added. The complete list of top programs is available on the Bloomberg BusinessWeek website.